I've found my calling…Capturing the most precious moments in people's' lives! What a blessing to love what I do and have clients love what I present to them…memories that will last a lifetime. With a creative eye, keen sense of fashion and design, I pride myself on delivering breath-taking wedding photographs, loving and fun engagement moments, beautiful maternity portraits and newborn portraits that make you say "awwww". 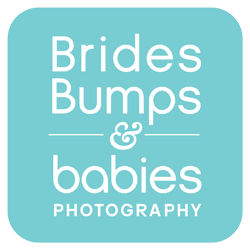 You don't have to take my word for it...click on my Testimonials Page where clients rave about working with Brides, Bumps & babies Photography. If you are contacting me, it's a good hunch you love my images. In addition to feeling confident about my abilities, I also want my clients to feel comfortable about working with me. Choosing your photographer should be based on more than pricing. For my wedding clients, you will spend up to 10 hours with me on your wedding day. Our personalities have to mesh and we have to feel completely comfortable with each other. I'm an easy going guy who can put everyone at ease, from the flower girl to your grandpa. Having a great rapport between us is the key to those natural, romantic, loving and fun images coming through my lens....trust me, it matters! The same goes for my maternity portrait sessions, being comfortable together is paramount and I love the fashion aspect that goes into a maternity session. With newborn portrait sessions, it's great to work with you parents and establish a trust factor so we can focus on capturing all those precious moments of your little bundle of joy. I look forward to working with more amazing clients here in the years to come!